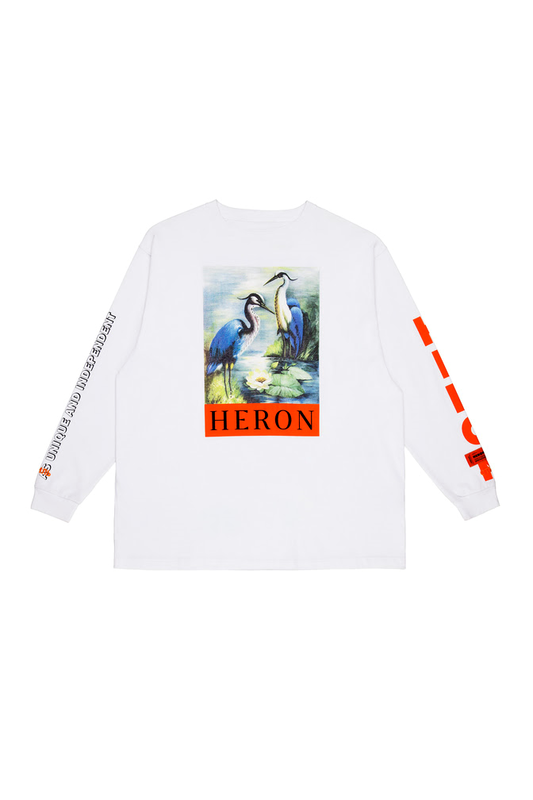 DESCRIPTION: Heron Preston's white cotton jersey T-shirt is printed at the front, sleeves, and back with multicolored lettering and an Audubon graphic. 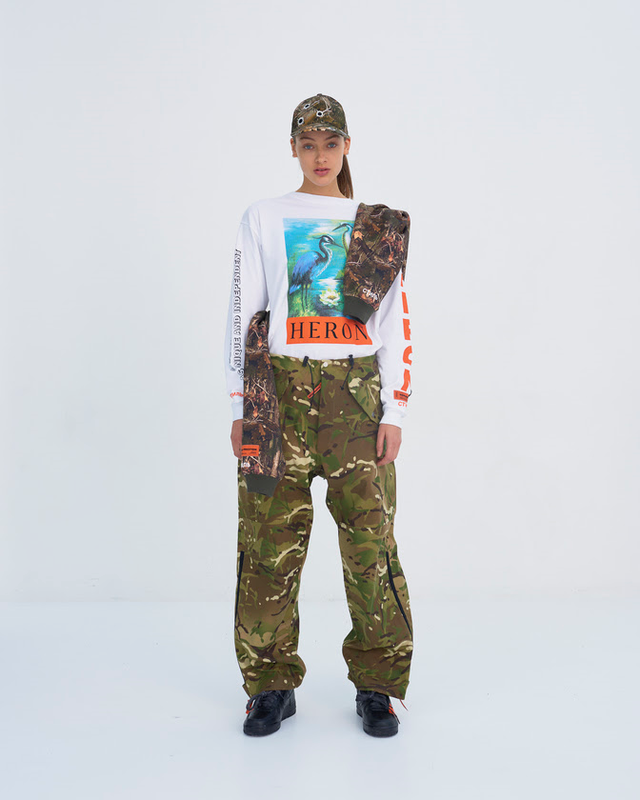 Cut with an oversized fit, this piece is embroidered at each cuff with the word "style" in Cyrillic. 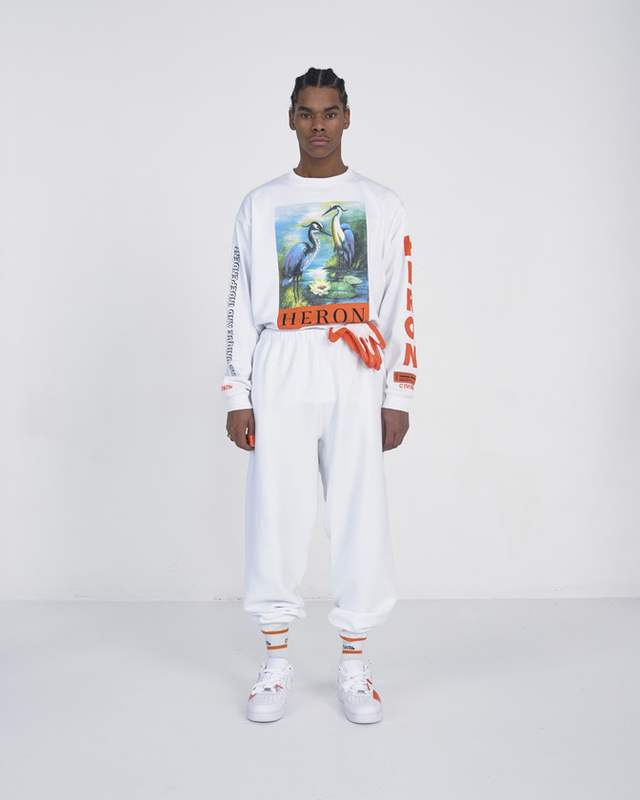 Orange logo patch and signature embroidery at sleeves. Rib-knit crewneck and cuffs. Long sleeves. Pulls over. 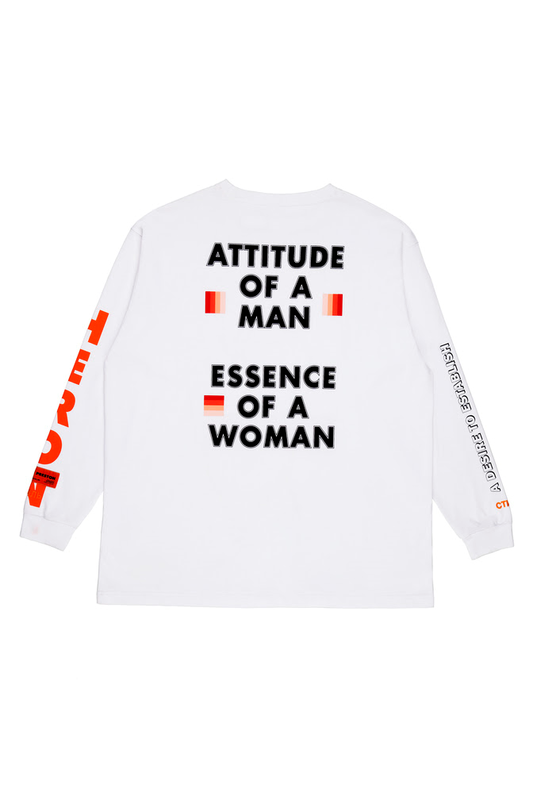 Available in White/Multi. 100% cotton. Machine wash. Made in Portugal.